Ocean Beach is one of NESS’s most important sites in New London! 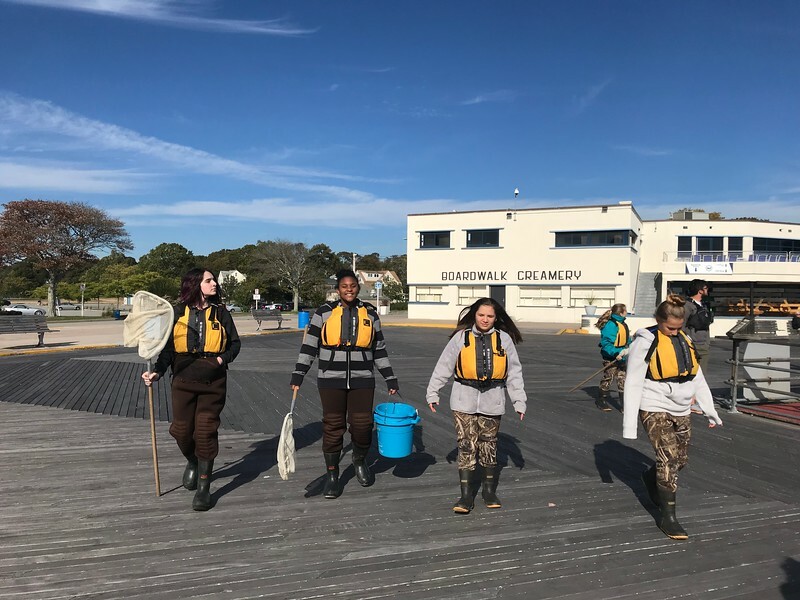 Our Ocean Beach classroom allows us to run programs year-round and has lots of resources for students to take advantage of. 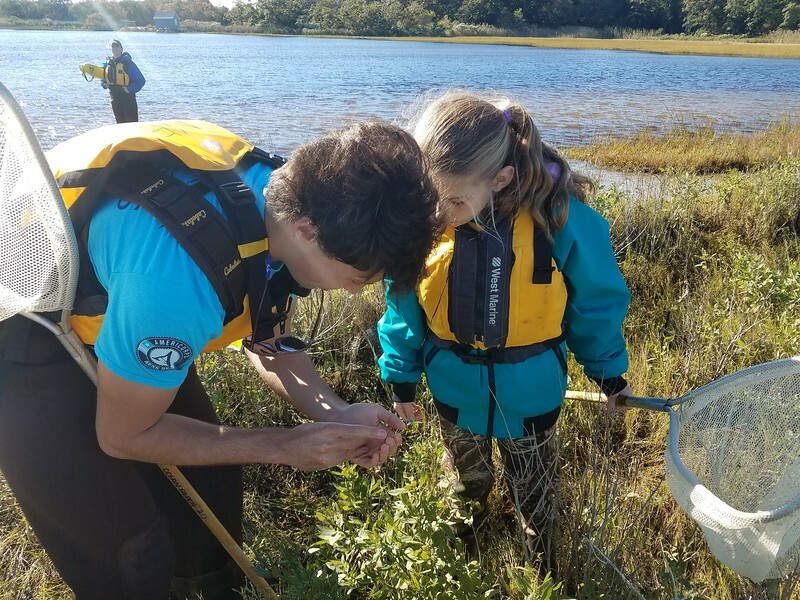 We have aquariums with animals collected from the creek to display native species in the area, field guides, iPads for research, lesson bins, and teaching space, as well as kayaks, snorkels, and more for field excursions! Throughout the year, we have opportunities for community partners and the public. We have programs for the New London Youth Affairs playgroup, school field trips, and summer programs such as EcoTours and New London camp programs. One of the most important programs we run is our Bennie Dover Jackson Middle School extended learning after school program. Each day of the school week, a different grade comes to the after school program. During the warmer weather, students learn to kayak, explore the creek, and learn to sail. Our AmeriCorps members get creative when the cold limits our access to being on the water. This winter, our AmeriCorps team has kept the middle schoolers busy with lots of projects and fun lessons. Students dove into crab, fish, and squid dissections to learn all about how biological form and function work together. Engineering challenges help keep our students thinking about how we can explore properties of wind, water, and physics. 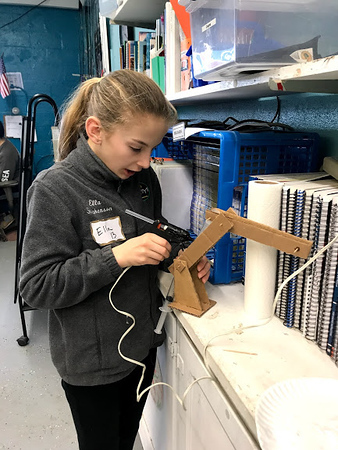 Our 7th graders engineered pneumatic arms and 8th graders built boats! Soon our 6th graders will build their very own Remotely Operated Vehicles from the ground up. During the winter, we find ways to bring the outdoors inside, challenge our students’ creativity, and continue the learning! Follow us on Facebook to see what we are up to!